The CCIE program is designed to help individuals, companies, industries, and countries succeed in the networked world by distinguishing the top echelon of internetworking experts. In particular, the CCIE Security Certification is designed to identify network security experts. 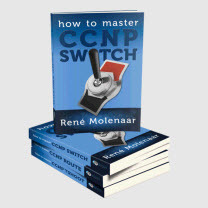 The first step along the CCIE Security path is for individuals to take a challenging written exam designed to assess their knowledge across a range of technologies. If their scores indicate expert-level knowledge, candidates then proceed to a performance-based CCIE Security Certification Lab Exam. Why Security Certifications? Security is one of the fastest-growing areas in the industry. The expansive development of the Internet, the increase in e-business, and the escalating threat to both public- and private-sector networks have made security and the protection of information a primary concern for all types of organizations. An ever-increasing demand exists for the experts with the knowledge and skills to do it. Therefore, trained network security personnel will be required in the years to come. Why CCIE Security? CCIE Security distinguishes the top level of network security experts. The CCIE Security Certification enables individuals to optimize career growth, opportunity, and compensation by distinguishing themselves as being part of the network security experts of the world. The CCIE Security Certification enables companies to minimize their risk by identifying the highest caliber of security personnel with the training and skills necessary to protect their critical information assets. Product Manager CCIE Security Cisco Systems, Inc.